The final battle between Super Shadow and Black Night, the Super form of Blacklight, has begun. But where is it happening? An intense, continuous sound can be heard, like that of a raging river. Slowly, Super Shadow opens his eyes. He is surrounded on all sides by two kinds of energy, one of gold and white, the other of purple and black, which flow around him. The two are unevenly mixed, in small shreds in some places, and large patches in others. In a somewhat erratic fashion, the two energies are constantly morphing and flowing, one type of energy almost constantly flowing into and overtaking the other, only to be itself overtaken. “What…what is this place…?” His voice echoes off into the distance. “An excellent question.” Another loud cough announces the presence of Black Night. Shadow scrunches his face as he thinks hard. “There isn’t any…or…is there?” He starts to look around, perhaps gaining some vague recognition of the strange realm. “I’d say nothing’s changed.” Shadow takes a fighting stance in the air. Shadow takes the opportunity. “Chaos Frost!” He throws his hand forward. But nothing happens. “Or air, for that matter. Here, let me try. Chaos Void!” Rather than emerging from himself, the dark energy from the realm around them is thrown from its place, towards Shadow in a massive, unavoidable onrush. 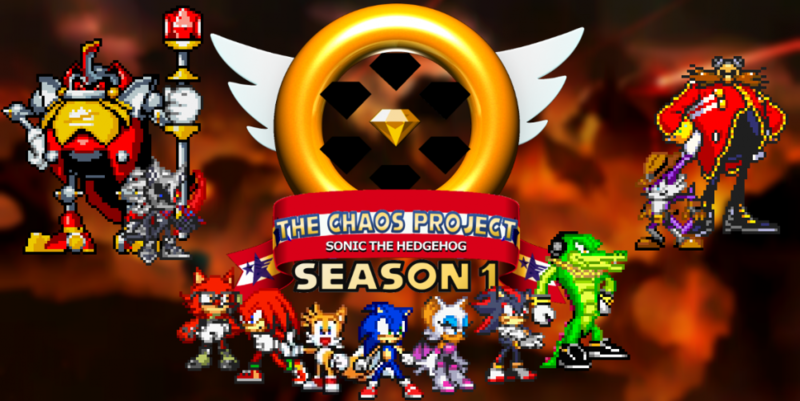 This entry was posted in Preview and tagged Blacklight the Hedgehog, Chaos Control, Shadow the Hedgehog, Super Transformation by Chaos Project. Bookmark the permalink.